We all know that golf trips can be quite expensive. The sport itself can be costly because unlike basketball, you need more than just a court and a ball. It is not like swimming wherein you only need to depend on your body when it comes to your performance. Meanwhile, playing golf means you are going to need a lot of things. This include using the right equipment and possessing knowledge about the various clubs available and golfing basics. Unlike a court or a pool, a golf course is much bigger is size. 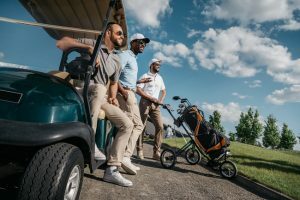 If you are planning a golf trip, you need to find the most affordable solutions if you don’t want to spend a lot on golf tools, travel costs, food expenses, hotel stay, cart and course fees. Myrtle Beach is among the most popular golf destinations and you will find countless golf packages to choose from. Golf packages can save you a lot of cash and if you know where to look, you easily book your golf vacation online. When it comes to Myrtle Beach golf packages, you can start your search online. Because it is a very famous destination for golfers, you will find a range of selection for packages. Generally, once you have found the company that you would like to book your golf package through, you will typically be provided with a free quote, list of available options, a lodging guide, as well as a golf course guide. Once you start booking your golf vacation, you can set your desired date, how many golfers will be with you, how long you will be staying, and how many of your friends or family will be coming with you. Personalized packages gives you the freedom to plan your trip including the golf courses you wish to visit and where you would like to stay. Also, golf packages also offer you other nice perks like price discounts. Golf packages can come in the form of small sets of golf balls and golf clothes to an extensive holiday and resort package. There are different kinds of golf packages suitable for the varying needs of golf enthusiasts. Golf equipment packages, for instance, include all the tools that you can purchase from your local golf shop. You don’t need to spend several hours shopping around from one store to another just to get a complete set of golf equipment. It does not matter whether you are new to golf or you are already a seasoned player, golf packages can accommodate your needs. Golf holiday packages are also common. Who says you can’t mix a relaxing holiday and some great golf play. You can choose an option that lets you stay at a golf resort. You can also choose packages that lets you enjoy a weekend break while playing at one of the top golf courses in your chosen location. Whatever your choice is, you will find great vacation packages that suit your budget. Call Myrtle Beach Golf Directors now. Did you know? The only out of bounds on Oyster Bay is the road on #18. On #17 (an island green), the oyster shells surrounding the green are considered part of the water hazard. Did you know? Thistle is the only course in Myrtle Beach that has twelve minute tee times. Most courses are seven, eight or nine minutes. They will also be opening one of the biggest and most technologically sound clubhouses in the area in the next weeks. Also, they average the largest greens at about 7,300 square feet each. Did you know? World Tour has the largest green in Myrtle Beach. It is #9 on the Open nine and is a little over 18,000 square feet. This is the hole that resembles #18 at St. Andrews. Did you know? Blackmoor has a graveyard on #13. It dates back to 1839 and it rests a plantation family and their slaves. Did you know? Heritage has two graveyards. One is on #8 and rests slaves and off the tee of #4 are the settlers that owned the land. Did you know? Bald Head Island has no OB. There are no cars allowed on the island; only golf carts are allowed. There are alligators and deer on the island, but how did they get there? Well, during low tide, the deer and alligators can move easily from island to island and eventually end up on Bald Head. And this might be the best we’ve heard… Bald Head Island got its name from the days of Blackbeard. That’s right, the pirate. You see, when low tide would come around, ships would consistently run aground, Blackbeard knew this happened all too often and the ships were there for the taking. Word spread to beware of the “bald head”. Blackbeard’s men would scalp stranded sailors when they raided the grounded ship. Hence, it is named Bald Head Island. Where Should I Stay on my Myrtle Beach Golf Package? — How to determine the best place to stay on your Myrtle Beach Golf Package? Myrtle Beach is famous for a lot of things. Golf, the beach, the nights, and the shows are just to name a few. Most people think of these things first; and why shouldn’t they? They are fun! Fact is, the accommodations you stay at while in Myrtle Beach have as much to do with everything else. Nobody wants to drive 90 minutes to a golf course. Most people don’t want to drive over 30 minutes. There is a place for you to stay that is inside your budget, comfortable, and located just for you. The most popular accommodation for golfers is the golf course villa. This is in few words, a condo on a golf course. These were made for the golfer that doesn’t need the ocean, because, he is here for golf. Have you ever seen a golf course in the ocean? I haven’t. The golf course villa is the most economical for any group of golfers. They have layouts of 1, 2, 3 and 4 bedrooms. The most popular way of breaking these down is to put 4 golfers in a two bedroom condo so everyone splits the cost. Bedding rarely is an issue as there are so many golf villas that you can have two, three or four beds in a 2 bedroom unit. In a golf villa, you will have a full kitchen, X amount of bedrooms, a living area, and a washer/dryer. Another good thing about the golf villa is that there are numerous golf villa locations around the area; north, central, south and even in between. The properties that these golf courses villas reside on often have outdoor pools, tennis courts, outdoor grills and putting greens. Only a couple of them have indoor pools and hot tubs. Some of the golf course villas in the area are Myrtlewood Golf Villas, True Blue Golf Villas, World Tour Golf Villas, Barefoot Golf Villas, and Brunswick Plantation Villas, just to name a few. Your golf director can help you choose the right place to be. Don’t hesitate to ask any questions. A couple of us have owned and/or lived in a golf course villa before. Golfers are also interested in staying on the ocean. The sound the ocean makes is one of the most relaxing sounds in Myrtle Beach. With the city behind you and the ocean in front, you kind of get away from all the hustle bustle. Like the golf villas, oceanfront resorts can be set up for any type of group. Bedding is rarely an issue, but sometimes the layouts of these resorts call for something different. The rates for these resorts spike during the summer-time, but are very reasonable in the spring and fall, and then a steal in the winter. Some of the oceanfront resorts in the area are Baywatch Resort, Patricia Grand, Avista Resort, and Camelot by the Sea. Again, like the golf villas being all over the area, the oceanfront resorts cover about 75% of the beaches in Myrtle Beach (about 60 miles worth!). So, from north to south, you can find something. Although: most oceanfront resorts are in Myrtle Beach and in North Myrtle Beach. Along with the ocean and beach come families and kids, especially in the summer. So if you are one of those rowdy groups, make note. Some of these oceanfront resorts have indoor pools, lazy rivers, and jacuzzis and so on. Guys, keep this in mind if your wife is coming along and she does’t play, because she will want something to do while you are out having fun! A common misconception about oceanfront resorts is that they have their own golf course. This is not the case. You will need to drive to your courses. And, again, ask your golf director about which resort is best for you. Hotel Chains are obviously found all over the world and Myrtle Beach is no exception. Hotels like Comfort Suites or Hampton Inn cater well to short stays and smaller groups like singles or two-somes. So, if you have a larger group or a longer stay, go with the golf villas or an oceanfront condo. Most of the hotels in Myrtle Beach provide a continental breakfast at no additional charge, unlike the golf villas and oceanfront resorts. Next, location is key! Just because Hampton Inn is very expensive in downtown Myrtle Beach, doesn’t mean that it is in Pawley’s Island or North Myrtle Beach. And again, ask your golf director which hotel fits you best. The large bedroom homes cater well to larger groups who want to stay together. They can accommodate up to 16 golfers in one 8 bedroom house and 12 golfers in one 6 bedroom house. If everyone wants their own bedroom, that’s fine too. The houses are only available in the spring, fall and winter. Summertime in these units is just way too expensive for your average Joe. These units are mainly in North Myrtle Beach, so if you do want to stay in one of these, select courses in the northern area. Your golf director can help you out with the selection. Some of the houses will have a game room. The game rooms vary in what is in them. Some have pool tables, some have foosball tables, and some are just an extra den. The pool tables are the most popular, so if you want to book one of these, do it early. These houses are also either oceanfront or are second row (oceanview), so you get the beach as well. Next, and this is a biggie, bring your own toilet paper for these houses! No TP is provided. I’ll say it again. Ask your golf director for any additional information. As you start planning your Myrtle Beach golf package, do some research on possible accommodations. Well, technically, you just did. Ask your guys what they think. Prices will fluctuate all year and you might catch a really good deal. In most quotes that you can get emailed to you, all of these options are listed. Don’t hesitate to ask about any of these as that is what your golf director is here for. Sleep well!